Yesterday I shared some fun news...and today I have even more! 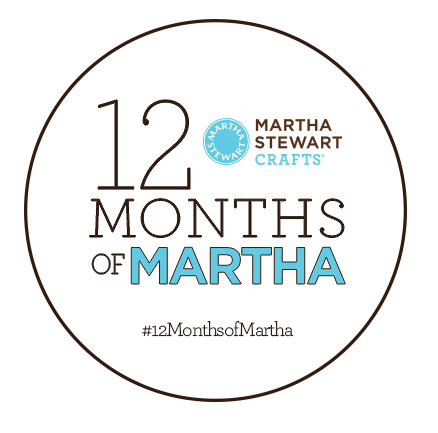 I was chosen to participate in #12monthsofmartha! Seriously...so exciting!! Anywho, for my first project I took Martha's pad of valentiney scrapbook paper, tinsel, and some buttons from my collection to make little tags perfect for dolling up gifts for Valentine's Day. I started by punching large and small hearts and small circles in contrasting patterns. and finally a pink button. I then put a few cookies in a small kraft bag and sealed it. For the final details I added doilies, twine, and my cute new tags. So easy but still super cute! These are sweet...LOVE the buttons, too!! !